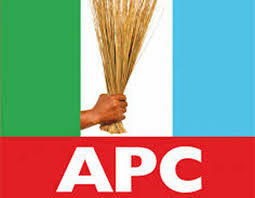 Chairman of the All Progressives Congress, APC in Plateau State,Hon Letep Dabang has charged members to continue show uncommon commitment to the growth and development of the party in the state. He has also assured that the party remains committed to creating a level playing field for all that are interested in contesting one position or the other in the forth coming general elections. Letep Dabang was speaking at the state APC secretariat while receiving a donation of two Sharon buses and several campaign materials for use by two APC groups, The Apc League Of Unity and The Apc Youth Mobilization. According to the Chairman of the party, the donation of the two buses and campaign materials by an Aspirant for the Jos North/Bassa federal constituency, Hon. Yusuf Umaru Dauda goes to show the interest of members in promoting affairs of the party all over the state and country. Earlier while presenting the two buses and campaign materials to the APC Chairman, Hon. Yusuf Umaru Dauda said it was his little way of encouraging and supporting the party in spreading the message to all parts of the state. He added that as a youth,it is time for them to actively get involved and take over the political space by participating actively in the process. Receiving one of the Sharon buses and campaign materials from state Chairman of the party, Director General of the APC League of Unity,Mr Stephen Jings commended the donor saying one of the major challenges the league has been facing was mobility stating that this will enable them mobilize more people for the party all over the state. Jings said as at the last count,the APC League Unity could boast of having slightly above 26,000 (twenty six thousand) members cutting across the 17 LGAs of plateau state. "On behalf of all our members,we want to express our gratitude you you for thinking and acting right by donating these buses and campaign materials for the APC"
And on his part state Chairman APC Youth Mobilization in the state,Eli Ankala thanked the donor and assured it will be used for the growth of the party in the state. The presentation ceremony had in attendance members of the state working committee of the party as well as other party faithful from within the state.